I tasted a seemingly endless number of drop-dead gorgeous wines from Piedmont over the summer. Piedmont has experienced a set of exceptional vintages that play to the strengths of the region’s indigenous varieties. At the same time, producers have backed off some of the more international leanings of the 1990s and now have the confidence to let their wines speak for themselves, and speak they do. Readers will find no shortage of stunning wines in all price ranges in these pages. The 2010 Dolcetti are superb. The wines show tons of varietal character with the cool, insistent minerality that is the hallmark of this cold vintage. Readers who may have found recent Dolcetto vintages too rich will delight in the 2010s. The best wines have bright acidity, clean minerality, mid-weight structure and fabulous overall balance. They are great wines for the dinner table. Curiously, Dolcetto remains a very tough sale in the US. Savvy readers will discover a wide range of delicious wines in the market. As always, a good rule of thumb is to look for the Dolcetto of a top Barolo or Barbaresco producer. Even better is venturing into the lesser-known villages where Dolcetto has the top billing and therefore the best situated vineyards, such as Dogliani and Diano d’Alba. The 2009 vintage produced a crop of fabulous Barberas. The defining moment of the year was a heat wave during the second half of August, but Barbera is a grape that handles heat well, as the wines show. The 2009 Barberas are silky, refined and exceptionally beautiful. Although the wines have the ripeness of a warm year, they don’t have the body or textural richness of truly opulent vintages such as 2003 or 2007. Instead, the wines offer the radiance of a warm year combined with the mid-weight grace of a cooler year. If that sounds appealing, believe me, it is. Readers will need to be selective when it comes to 2008 Barbaresco. It is truly a winemaker’s vintage in which the skill of the individual producer is much more important than the quality of the vintage itself. The wines are medium in body, with excellent length, focus and cut. It is a relatively high-acidity vintage that producers like to refer to as ‘classic.’ That may be the case for the finest wines, but overall 2008 is an inconsistent vintage, even among the best producers. The year got off to a late start with a delayed flowering. The spring and summer were cool, which meant the vines had to be treated more aggressively than normal. 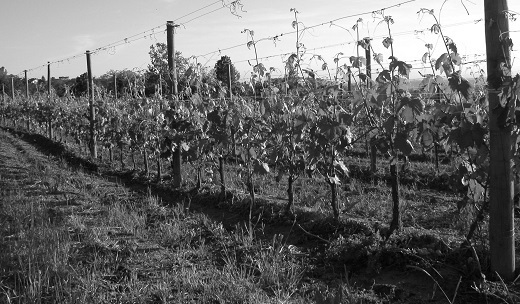 The Nebbiolo harvest took place in late September through mid October under difficult conditions that included rain at several critical points. The best wines show fine balance, but overall this is an average to slightly above average year with a handful of overachievers, but a larger number of so-so wines. What is missing is depth of fruit and full-development of aromatics and flavor. Today, most of the 2008s don’t appear to have the structure to age for more than 10-15 years, give or take. Several high profile wineries are missing from this report, including Michele Chiarlo and Sottimano, because they did not submit their wines in time for my tastings. There are two sweet spots for the 2007 Baroli. The entry-level Baroli are better than is often the case, while the top wines are majestic. The middle of the road, is, well, the middle of the road, just as it is in most years. The vintage was characterized by a warm, dry winter, which led to an early flowering. Summertime temperatures were not particularly hot, but temperatures were very stable and there was no rain. Although often described as a hot year, there were no periods of prolonged heat such as the region experiences in 2003, nor were there any heat spikes to speak of. Hail was very localized to parts of Monforte and Bussia in particular. Other than that, there were no significant weather events. Most importantly, the weather cooled down in September, which allowed for a harvest under ideal conditions, with hot days and cool nights. The wines are rich and generous, but also have expressive aromatics and excellent structure. Some readers will prefer the 2006s, which will likely turn out to be longer-lived, but for nearer-term drinking the 2007s are hard to beat. Among the mid-tier producers, the vintage has marked the wines to a greater degree than at the top. Many of the most exciting wines I tasted this year were from Roero, the region which lies just across the Tanaro River from Barbaresco. Roero excels with the white Arneis, silky, mineral-infused Barberas, and, of course, Nebbiolo. There are several denominations for Nebbiolo. The first is the broader Nebbiolo d’Alba, which includes the communes in Roero. In the past, the best-known Nebbiolo d’Albas were the wines made by Bruno Giacosa and Luciano Sandrone from the Valmaggiore vineyard. Today’s new generation of locally-based producers are rightly putting their own stamp on the wines. The Roero designation is used for most of the top Nebbiolos. Malvira, Ca’Rossa, Matteo Correggia and Almondo are some of the producers making lights-out wines. The northern districts in Piedmont don’t get a ton of attention, but the best wines are well worth seeking out. Nebbiolo can struggle to ripen here, but in 2007 the even heat of the year yielded gorgeous wines with unusual fleshiness and none of the hard edges or excessive herbal notes that sometimes penalize these wines. This is an ideal vintage for readers who want to begin exploring the wines of Gattinara, Boca and the rest of Piedmont’s northern appellations. Unfortunately I did not get a chance to taste a huge number of wines from northern Piedmont, but those I tasted were impressive. The 2011 harvest was winding down as we prepared to go to press. Most producers seem happy with the results from a qualitative point of view, although yields are down across the board. The year got off to an early start, pretty much as it did across northern Europe. Producers remember the scorching, unseasonal heat in April around Vinitaly and Easter. June and July were pretty cool and relatively uneventful, with some rain, especially in July. The weather turned scorching hot during the second half of August, a period when temperatures often start to taper off, especially in the evenings. I spent several days in Piedmont during this time and it was very hot. The Dolcettos in particular seemed quite affected, and it was common to see shriveled grapes in a number of vineyards. As it turned out, the Dolcetto and Barbera were brought in about three weeks ahead of schedule, but Nebbiolo resisted better, and most growers brough in their crop two weeks or so ahead of schedule, which is to say not as early as initially feared. Aldo Vacca of the Produttori del Barbaresco told me he is very happy with the harvest, which finished at the tail end of September. Vacca thinks his grapes have the potential to bottle the Riservas although he won’t take that decision for at least another year. His cousin Renato Vacca of Cantina del Pino observed that sugar levels were within normal ranges but acidities were a touch lower than normal. Giorgio Pelissero finished harvesting his Nebbioli on October 3rd. “This is vintage that shows the nobility of Nebbiolo,” Pelissero explained. “The Dolcetto and less important Barbera vineyards were very much affected by the August heat, but Nebbiolo knows how to take its time,” he added. In Barolo, producers were equally pleased. Luca Currado of Vietti finished the Nebbiolo harvest during the first week of October. He reported acidities in line with the 2006s. The 2011 harvest was very relaxed and drawn out for the Nebbiolos. In order to maxime efficiency with regard to picking time, for the first time Currado vinified his vineyards by for the Barolo Castiglione by harvest date rather than strictly by site. Roberto Conterno echoed the sentiments of other producers. He picked his Barberas three weeks ahead of schedule but noted that Nebbiolo had held up better through the August and September heat. The Nebbiolo harvest was scheduled to start on October 5th, quite late for the year, but consistent with Conterno’s tendency to be one of the last to harvest.